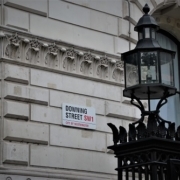 How will the Budget 2017 affect the UK property market? The Chancellor of the Exchequer, Philip Hammond, presented his hotly anticipated Budget to a packed Parliament on Wednesday 22 November 2017. After a series of crushing tax changes for the UK property market, I among many in the industry hoped for a smoother ride today. And I think we got it. A budget to help the property sector? Hammond dedicated a decent part of his hour-long speech to Britain’s housing crisis. He stated that his government was determined to fix the problem that has put the dream of home ownership out of reach of so many. While the focus on house building will have no immediate effect on the London property market in the short term, in the longer term more supply across the UK will mean the market as a whole will get moving again. The announcement that got the biggest reaction in the house was that with immediate effect, stamp duty for first-time buyer purchases up to £300,000 was abolished. And in London, this applies on the first £300k of property purchases up to £500k. This is great news for those about to get on the housing ladder –saving them around £5,000 in tax. The Chancellor estimated that 80% of first time buyers would benefit from this. 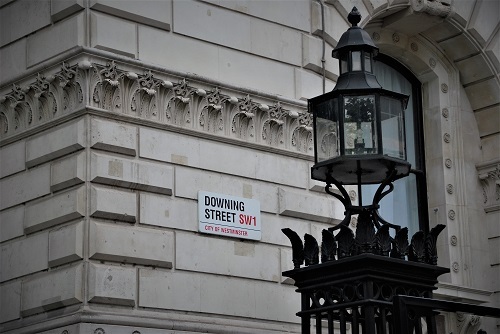 But industry experts and the Office for Budget Responsibility are already predicting that this change may filter through to house prices fairly quickly with a predicted rise of 0.3%. So for first time buyers to benefit, they will need to act fast. For those dreaming of owning their own property, the problem has never been stamp duty. The biggest hurdle has been how to save for a deposit. Help to Buy has helped a little but with rent and living costs taking up ever more of people’s diminishing in real terms pay packets, saving the thousands needed as down payment on their first mortgage is still nigh on impossible for many. And nothing in today’s budget addressed that. This change also doesn’t address what I see as the main problem for the housing market; the mover or downsizer. These are the people that keep the market moving and at the moment they are put off by the prohibitive cost of buying and selling. Although the Chancellor didn’t give the property market any early Christmas presents today, he didn’t give us any nasties either. So I for one am relieved that we can carry on as before – although perhaps a bit disappointed he didn’t choose to reverse any of the tax changes announced by his predecessor, George Osborne. I think the help given to first time buyers will in time filter upwards and free up the middle part of the market. I also welcome a period of relative stability as far as property taxation goes. Goodness knows we need it after the various punitive changes we’ve suffered in recent years. Whether the stated determination of the government to fix Britain’s housing problem will yield any results, who knows. We can only wait and see. If you have a property that may be suitable for a first time buyer, now is the time to put it on the market. If you’d like any advice on selling your property or the current state of the market, please don’t’ hesitate to get in contact. https://www.mountgrangeheritage.co.uk/wp-content/uploads/2017/11/jordhan-madec-608544-unsplash.2.jpg 334 500 anna https://www.mountgrangeheritage.co.uk/wp-content/uploads/2018/05/mountgrange-heritage-logo.png anna2017-11-24 10:24:142018-09-06 22:17:39How will the Budget 2017 affect the UK property market?